Last Tuesday night saw the latest quarterly Brewshare event at The Localtaphouse in Darlinghurst. The set style for the night was Indian Pale Ales (IPA) with 21 entries and 5 more in the nights ‘open class’. Sydney water had a bit of mishap with a water main bursting down the road in Moore Park leaving the pub without water. This caused all in attendance to turn to beer for their hydration but with so many fantastic brews on offer this was hardly a punishment. The beauty of the event is it brings a such a wide variety of homebrewers together with a wide range of skillsets and experience to together to talk shop and enjoy each others work. 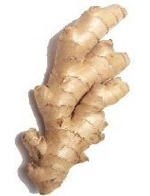 Ginger is a tuber of the Ginger plant, Zingiber officinale. One of the oldest spices known to man Ginger has been widely used by man throughout the ages for both culinary and medicinal purposes. Ginger has numerous health benefits some of which include, the improving peripheral circulation, lowering cholesterol and reducing naseua. Although in the western world Ginger is used primarily for its unique taste in food and drinks. Like most wonder plants, Ginger is great for brewing booze with too! So good in fact there have been times past in American history where the consumption of ginger has even surpassed that of standard hopped beers. Ginger Beer originated in jolly old England back around the 1700’s and reached its peak of popularity in the early 20th century, its popularity has since waned, at least in its original alcoholic form. Fortunately for the home brewer it is extremely easy and cheap to make a batch to enjoy. Coopers and Brigalow both sell Ginger beer extracts in kit form, although some people have told me they find the finished product’s taste a bit funny on the palate. Personally I haven’t tried either, i have never seen the point when the ingredients to make your Ginger beer from scratch can be located so cheaply and easily at your nearest supermarket. If you don’t have some already, you will need to get yourself some brewing gear to make Ginger beer. A fermenter, hydrometer and some sterilizing powder is about all you need to get started, these can be purchased from any home brew store (find one near you here), and will cost you around $40 all up. Another option is buying a Coopers brew kit from Big W these are around $70 last time i looked, contain a few extras and have everything to get the budding home brewer up and brewing in no time. First zest the lemons and limes (thinly cut off the very outer coloured edge of the skin) in a pot with 3 liters of water on the stove. Bring the pot of water to the boil and then add the cream of tartar, the ginger and the sugar. Stir until the sugar is fully dissolved then turn off the heat and pour into your sterilized fermenter. Juice the lemons and the limes and add to the fermenter along with 15 liters of cold tap water. Stir the mix in the fermenter thoroughly, sprinkle your satchel of yeast on top stir again. Seal up your fermenter and put it somewhere in the house that is around 18 – 25 degrees Celsius. The temperature where the fermenter is going to be doesn’t have to be spot on but try and avoid places where the temperature is likely to fluctuate a lot during the day i.e near sunny windows etc. The airlock on the fermenter should start bubbling around 16 – 32 hours later, and will continue to ferment happily for around the next 8 days (exact time will vary depending on the ambient temperature and exact yeast used). When the airlock appears to have stopped bubbling take a hydrometer reading wait 48 hours and then repeat if both readings were the same you are now ready to bottle. If your hydrometer readings differed wait a few days and repeat the testing process again as your beer is still fermenting. Bottling is easily the most time consuming part of the brewing process and for one fermenter, sterilizing the bottles, filling, priming and capping will take around 1 1/2 – 2 hours of time. First you need to sterilize enough empty bottles (375mL Stubbies or 700mL longnecks work best) to hold your brew. You now need to add some more sugar to the fermenter so your beer will end up fizzy. If you stuck to the recipe and have exactly 18L of beer you will need to dissolve 150 grams of sugar in 500mL of water and cool add to your fermenter and stir. Fill all your bottles and cap, then put them aside for 1 – 2 weeks to prime before chilling and drinking. I personally prefer this brew better when the ginger flavours are nice and fresh with some bite so don’t worry about leaving it to age for an extended period before drinking. Check the temperature where the fermenter is the yeast may just be dormant due to the cold, try moving the fermenter somewhere warmer. Did you add the yeast to the fermenter after adding the cold water? The Yeast will be killed if its added while the temperature is too high. If you suspect you have killed the yeast buy another satchel and add it to the fermenter, if your lucky you can recover from this mistake. Did you remember to prime your brew with sugar? Secondary fermentation in the bottle is necessary to gas your beer. Not much that can be done to fix this mistake as the beer is already in the bottles. It is still alcoholic and perfectly fine to drink so its not a total loss. You either primed with too much sugar or didn’t wait until the fermentation was completely finished before bottling. Be sure never to bottle if the hydrometer reading is above 1.012. When it comes to brewing cleanliness is number one! Some sort of bacteria has no doubt made itself at home in your brew. Throw the beer out and start again making sure everything your ginger beer comes in contact with is sterile first.